New officer- training resources from Being Reformed will inspire transformational leaders for your church! 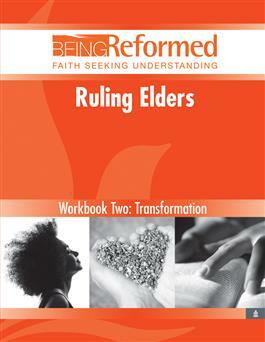 Ruling Elders: Transformation introduces six aspects of becoming a transformational leader: embracing change and discomfort, practicing spiritual discernment, approaching work as worship, keeping the Sabbath, practicing and promoting spiritual disciplines, and committing to self- awareness. This insightful resource may be used in different ways: as a self-guided study, as a group study, and as a ready reference for session reflection. Being Reformed: Faith Seeking Understanding is a series of biblically based mini-courses that provides adults with a foundational understanding of the Reformed faith. Each six-session study is written by well-known and respected scholars and features Scripture, prayer, in-depth commentary, and questions for reflection. Each study addresses its subject from a Reformed theological perspective.